We just received a reliable tip that Verizon has officially discontinued the 32GB flavor of the Galaxy S III, among other Android handsets. Final shipments of the 32GB GSIII have already been received from Samsung, meaning you can expect the remaining stock to dry up over the next month or two (so you'll be able to find it for a while yet). 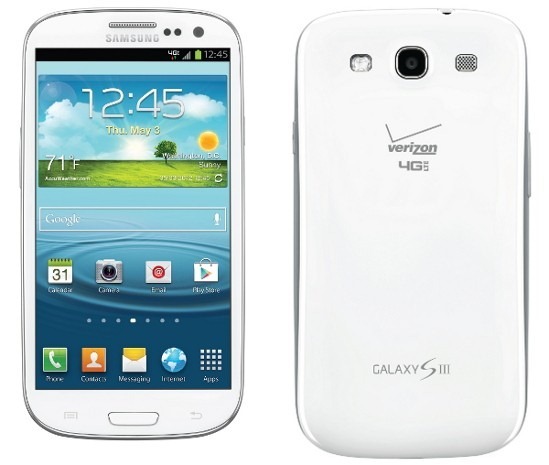 The 16GB Galaxy S III will continue to be available. 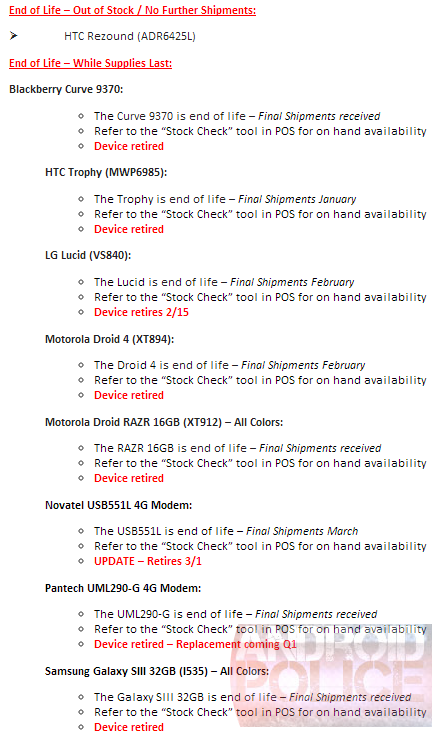 According to this document, the HTC Rezound is now officially dead and gone, though it's been off of Verizon's website for some time now. In addition, the DROID 4 and original DROID RAZR are also on the way out, with final shipments having been sent for both handsets. The LG Lucid will be retired on the 15th of February, and the Casio Commando will sunset May 15th. The retirement of the 32GB Galaxy S III isn't particularly surprising, as I can't imagine there was too much demand for it in the first place, especially on a phone that ships with a microSD card slot. This is probably just Verizon being prudent, in order to avoid ending up with a stockpile of 32GB GSIII's it would have to sell at an even bigger loss once the phone's successor is announced. There is a possibility, too, that Samsung is stopping production of 32GB GSIII's (to free up capacity for a new phone), so we'll be on the lookout for similar model wind-downs at other carriers in the coming weeks.